@BifBangPow: Entertainment Earth Announces New Additions to DC Comics Chair Capes™! 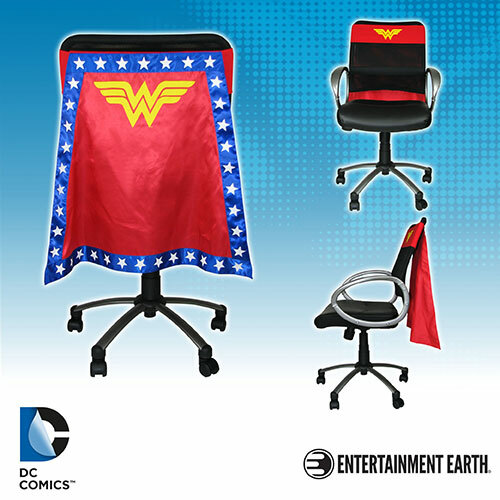 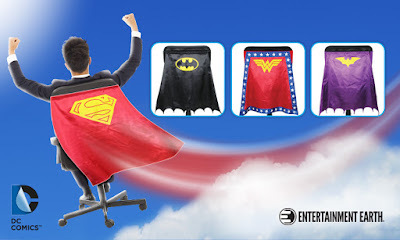 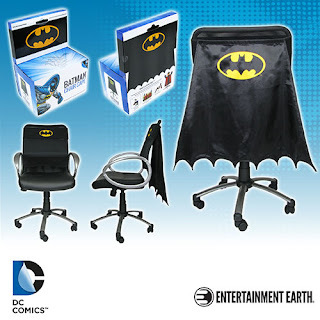 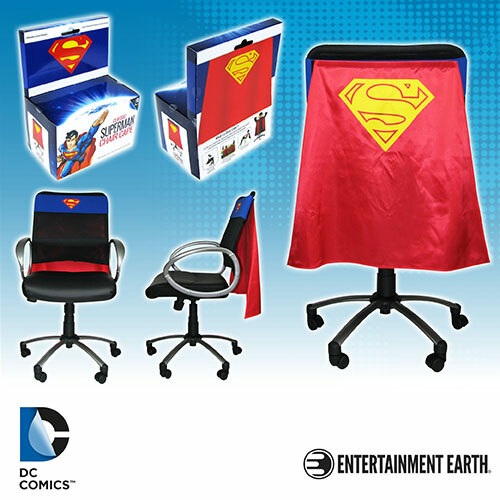 Entertainment Earth Announces New Additions to DC Comics Chair Capes™! Entertainment Earth is changing the rules of seat décor with their patent pending Chair Cape™! These new additions to the Chair Cape™ line will ensure that sitting down will no longer have to be a mundane and dreary undertaking. Fans will have the chance to assume the identity of Batman and Superman, both in stock now, and can pre-order Wonder Woman and Batgirl. Made of high quality fabric materials, each Chair Cape™ measures about 24-inches long and comes with a sturdy yet highly adjustable hook and loop belt that will fit most chairs. See more DC Comics collectibles here!